Scenario 1: A soldier sweeps a field for land mines while on patrol in a war-torn area. She is ever-vigilant. Suddenly, she hears an explosion. Two soldiers are lying on the ground; one is crying in pain, the other is unconscious. Automatic machine-gun fire erupts. Her team is being ambushed. She looks down at her uniform; she is injured and bleeding from a shrapnel injury to her left bicep. Quickly, she reaches down into her Improved First Aid Kit and grabs her Combat Application Tourniquet. She applies the tourniquet with one hand to slow the blood loss. Meanwhile the two soldiers who were down are being treated and loaded into a Mine-Resistant Ambush-Protected Vehicle, converted into a Non-Standard Causality Evacuation Platform. These soldiers will survive. They are not medics by training, but they were equipped with lifesaving medical devices that helped them stay alive. Scenario 2: An 18 year-old has just joined the Army and reported for basic training. He falls into formation with the other recruits and enters the Company aid station to receive vaccines. He is handed a small paper cup with two round white pills, these are the Adenovirus Vaccine. The recruit takes his pills and marches off. This soldier will avoid adenovirus-related acute respiratory disease, an illness associated with pharyngitis, conjunctivitis, rhinitis and pneumonia. Researchers estimate that since use of the vaccine was resumed in October 2011, it has prevented the loss of roughly 150,000 training days to sickness. As you can see in the scenarios above, our soldiers face a broad array of dangers and setbacks, from training to deployment. To keep them safe and healthy in this ever-changing military climate, product developers must ensure that the Warfighter’s medical equipment meets their evolving needs. Personnel at the U.S. Army Medical Materiel Development Activity at Fort Detrick, Maryland, are the Department of Defense’s advanced medical developers. They are the coordinators who work behind the scenes to get medical support products, like the IFAK, and vaccines, like the Adenovirus Vaccine in the hands of the soldier. “At USAMMDA we establish partnerships with research laboratories, universities, small businesses and biopharmaceutical companies in order to facilitate the development and fielding of innovative medical products for the Army Medical Department,” said USAMMDA Commander Col. Stephen Dalal. 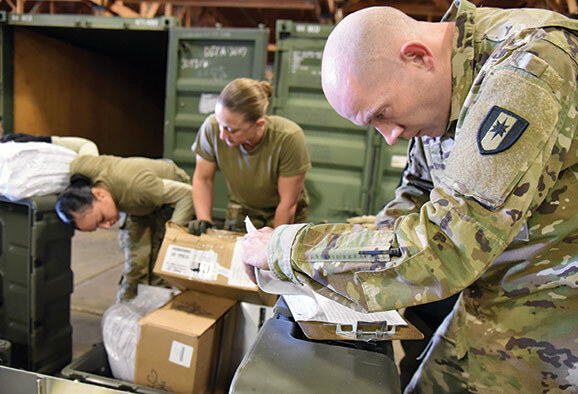 As part of this process USAMMDA managers must have a firm grasp of Army requirements so that they can ensure the advanced development of products meet soldiers’ specific needs. According to Dalal, these requirements are generated through the Joint Capabilities Integration Development System and the validation of those requirements are further refined through the Army Medical Department Center School Directorate of Combat and Doctrine Development. USAMMDA product managers then work with industry, academia and other government agencies to license and field these items to the Warfighter. To do this the Agency operates within the framework of DOD acquisition regulations and U.S. Food and Drug Administration and U.S. Environmental Protection Agency consumer protection laws. “In essence, USAMMDA serves as the investor, broker, manager and facilitator for such efforts on behalf of the USAMRMC, the Army Medical Department and the DOD,” said Dr. Larry Lightner, USAMMDA product manager for Pharmaceutical Systems. 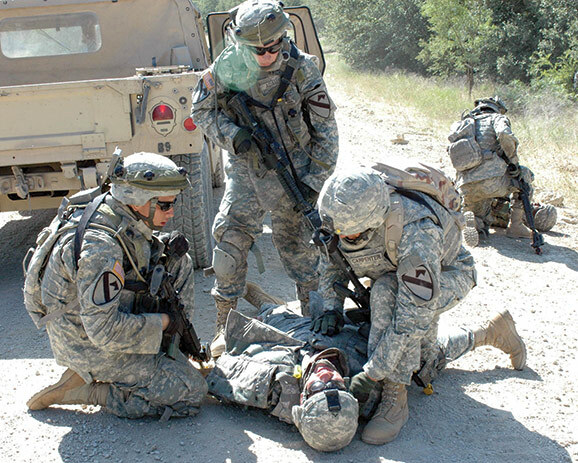 Going back to our scenarios of the soldier injured in battle and the recruit in training, one can see that USAMMDA advanced developers are helping protect our men and women in uniform. From closely tracking Army medical requirements to helping coordinate FDA licensing, they are ensuring that the Army continues to forward cutting-edge medical equipment designed to save lives.